Igor Edylovych (Kyrylovych) Olshevsky, Ukrainian, was born in the 26th of August in 1958 in Volodymyr (Volyn). In 1982 graduated from the philological faculty of Lutsk State Pedagogical Institute named after Lesya Ukrainka (now – Eastern-European National University named after Lesya Ukrainka). He worked as a teacher and cultural employee, and nowadays – as a journalist. Igor lives in Lutsk and works in his native university. Member of the National Writers’ Union of Ukraine since 2005. He is known as a poet, translator, novelist, literary critic, philosopher, amateur composer (pseudo «Igor Berestyuk»). Winner of the regional literary and artistic Prize named after Agathangel Krymsky. 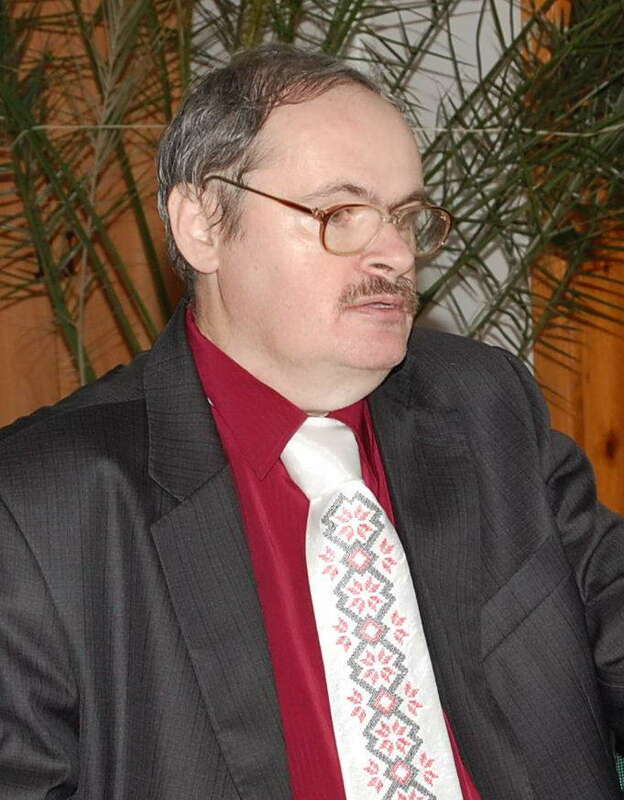 In 2003 he published the first poetry book – a digest of free verses «Editor of Dreams». Igor is the author of lyrical triptych «Zodiacal Light» (2008), a collection of psychedelic prose «Hide and Seek in the Rye» (2009), essays «Lesya Ukrainka: Mystic of the Name and Fate», «Pavlo Tychyna: Enigma of Life and Creativity» (2005), «Gregory Skovoroda: The Messenger’s Mission»(2008), «Pavlo Tychyna: New Touches to his Mystical Portrait» (2012), the treatise in persons «Agathangel Krymsky: the Call of the East «(2012), sci-fi survey «Echoes of Prehistoric Civilizations?» (2013, samizdat), essay-novel in letters, interviews and comments «Taras Shevchenko: from the Name – to the Mission» (prepares to printing), articles in the press of Ukraine, Poland, Slovakia and go on. The song, devoted by Lesia Ukrainka (lyrics by Lily Mykhalchuk), has become a sort of calling card trio Eastern National University named after Lesya Ukrainka «Dyvostruny» (their leader is Professor Myroslava Stochanska).